Sander Slootweg, Managing Partner at Forbion, one of the high profile VC investment firms in Europe, opens trading..
Forbion recently announced the final close of its new flagship fund, Forbion IV. The fund closed above its original target at EUR 360 million and was significantly oversubscribed. With this new fund under its belt, Forbion intends to build and invest in around 15 companies, which develop new medicines for high and unmet medical needs, impacting patients’ lives. These development-stage companies will be either acquired by strategic buyers like major pharma or biotech companies or will be listed on an exchange. 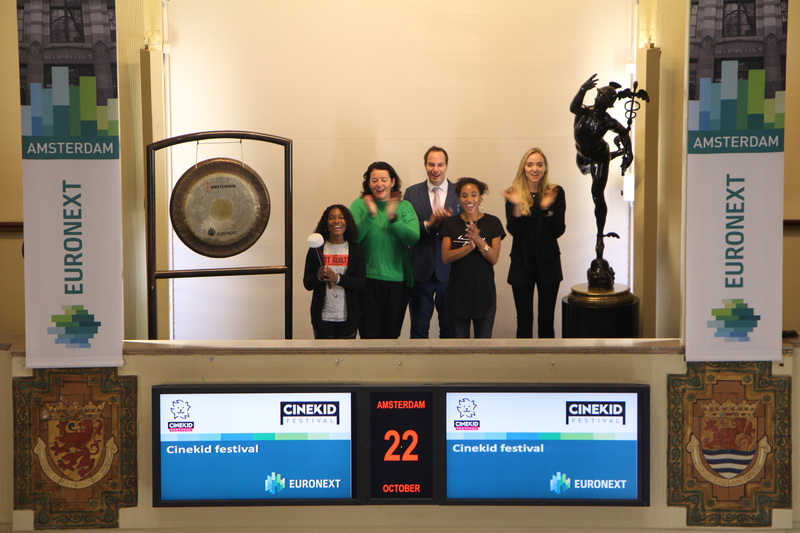 Richard Jongsma, Chief Commercial Officer at Alfen (ticker symbol: ALFEN), opens the trading day at Euronext Amsterdam to celebrate their inclusion in the Amsterdam Small cap Index (AScX). 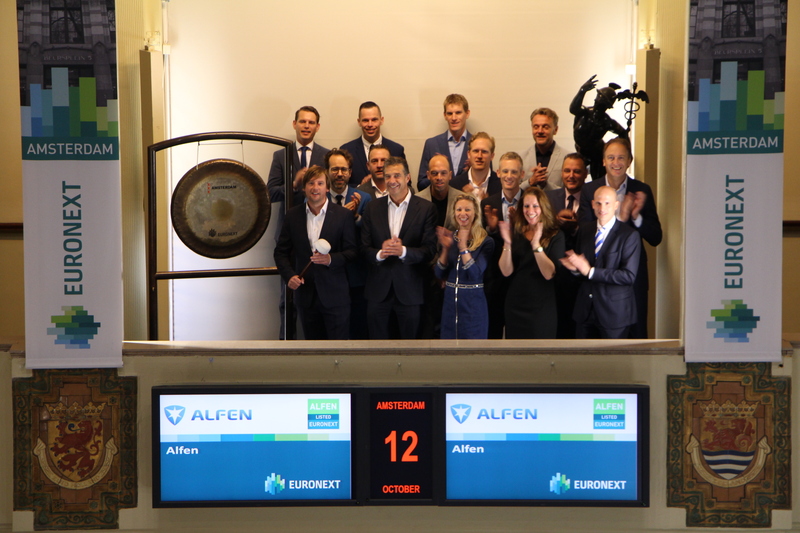 “We are proud that Alfen has been included in the AScX Index so soon after our initial public offering on Euronext in Amsterdam. 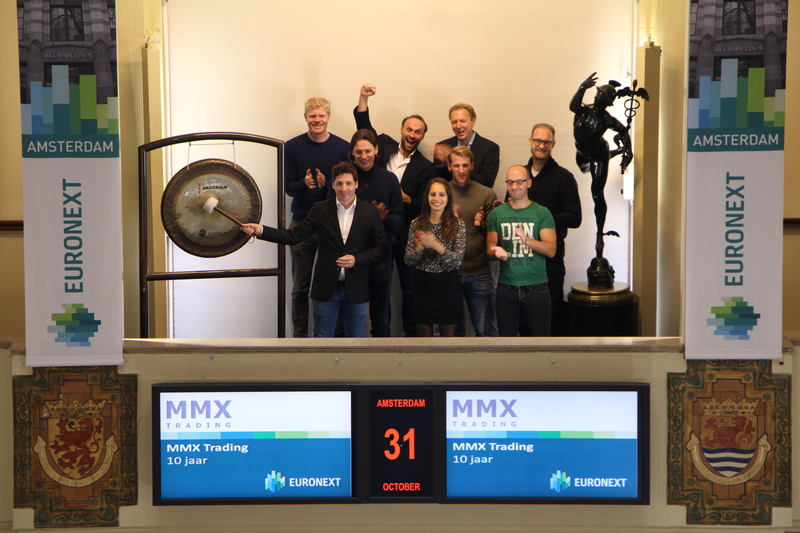 This is an important milestone for our company and further increases our visibility in the market. We believe that we are well-positioned for further growth, benefitting from our unique position in the heart of the energy transition”, said Richard Jongsma. Netherlands-based Alfen is operating internationally in the heart of the energy transition, as a specialist in energy solutions for the future. With its 80-years’ history, Alfen has a unique combination of activities. Alfen designs, develops and produces smart grids, energy storage systems, and electric vehicle charging equipment and combines these in integrated solutions to address the electricity challenges of its clients. In the period between 2015 and 2017 Alfen grew its revenues with 21% on average with a positive net profit. Alfen has market leading positions in the Netherlands and experiences fast international growth benefitting from its first mover advantage. The IMC weekend school Foundation has been providing additional education for young people between the ages of ten and fourteen years old, from neighbourhoods where this is most needed. 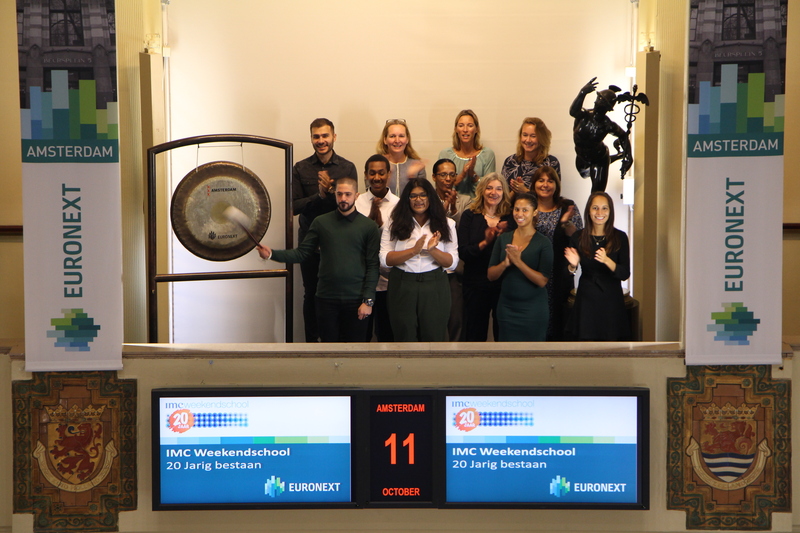 Since the start in Amsterdam Zuidoost, the weekend school has grown immensely; covering ten branches in the big cities and with an alumni network of 2600 former pupils. 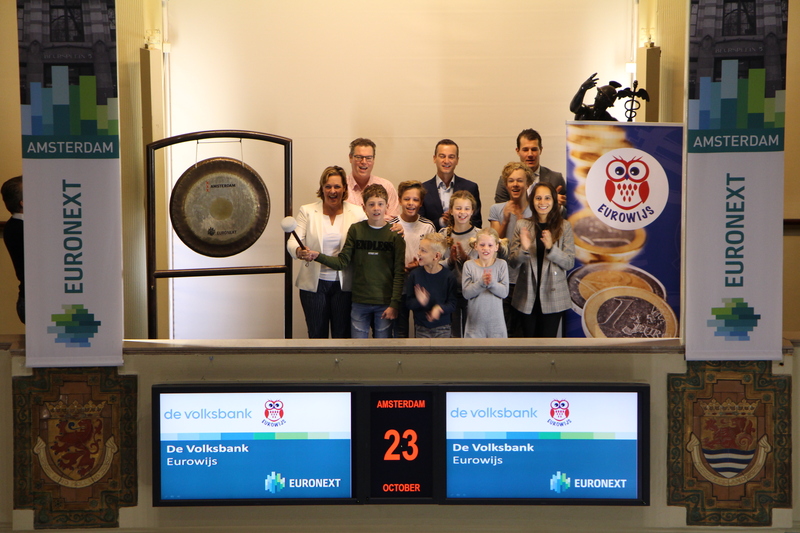 They already offer their education during school hours, at twenty regular primary schools across the Netherlands (IMC Basis) and at eight locations for newcomers children in international language classes (IMC on Tour). Year to date, they reach 2400 pupils from 38 different locations on a weekly basis. Their initial concept is still at heart: stimulating the curiosity of young individuals by introducing them to enthusiastic professionals who will introduce them to their business. Success should be celebrated. And that's what they will do at the jubilee party in the Amsterdam Westerkerk on October 13 on the occasion of which they open trading at the Amsterdam Stock Exchange on 11 October. In occasion of their Global Forum & Awards in Amsterdam on October 9 and 10 IR Magazine opens trading by sounding of the gong. The IR Magazine Global Forum & Awards is an international and independent event that focuses on sharing best practice and discussing the big issues facing investor relations globally. IR Magazine presents their Global Top 50, which is a global ranking of IR, and the Global People’s Choice Awards at the event. IR Magazine is an award-winning publication of IR Media Group, a business media company renowned for its magazines, websites, events and research. IR Magazine, available both digital and in print, helps IR professionals globally to achieve more with their IR programs, benchmark their efforts and connect to their peers in the IR community. In addition to reporting the latest developments, writing in-depth features, producing research reports and broadcasting podcasts, IR Magazine hosts events around the world. IR Magazine also hosts conferences and webinars as part of their commitment to providing ongoing education to the IR community. 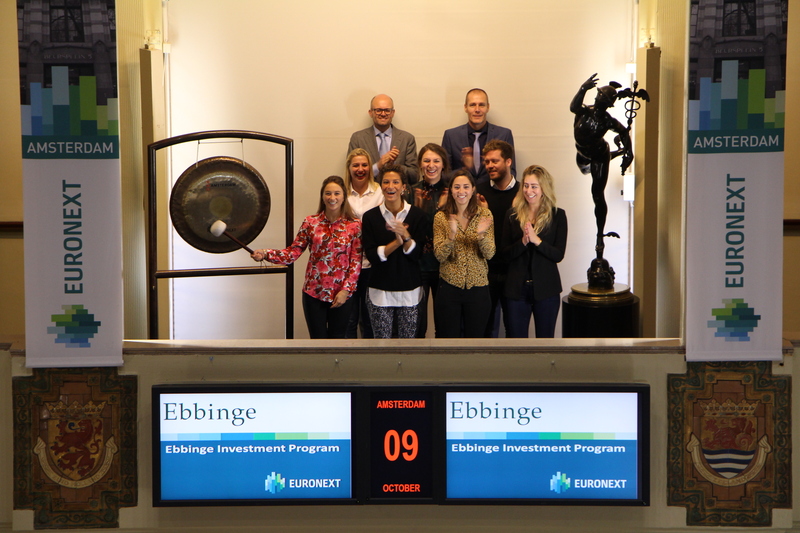 On the occasion of the kick-off for the Ebbinge Investment Program 2018-2019, Eline Verhagen (Consultant at Ebbinge) opens trading at the Amsterdam Stock Exchange. The Investment Program is a separate initiative from Ebbinge. During a college year it will introduce a selected group of approximately 80 top students to the world of private equity, and leading private equity houses. 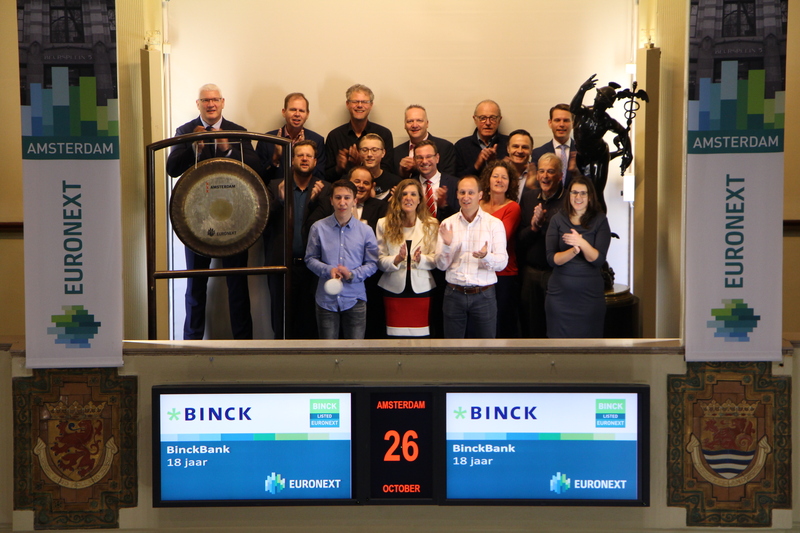 The participating private equity firms are AAC Capital, ABN Amro Participations, Bencis Capital Partners, Egeria, Foreman Capital, Gilde Buy Out, HAL Investments, Nedvest, Nordian Capital Partners, NPM Capital and Torqx Capital Partners. Ebbinge started the Ebbinge Investment Program in 2015. Over the past few years the program has grown into the number one network for private equity parties and the absolute top of young academics. 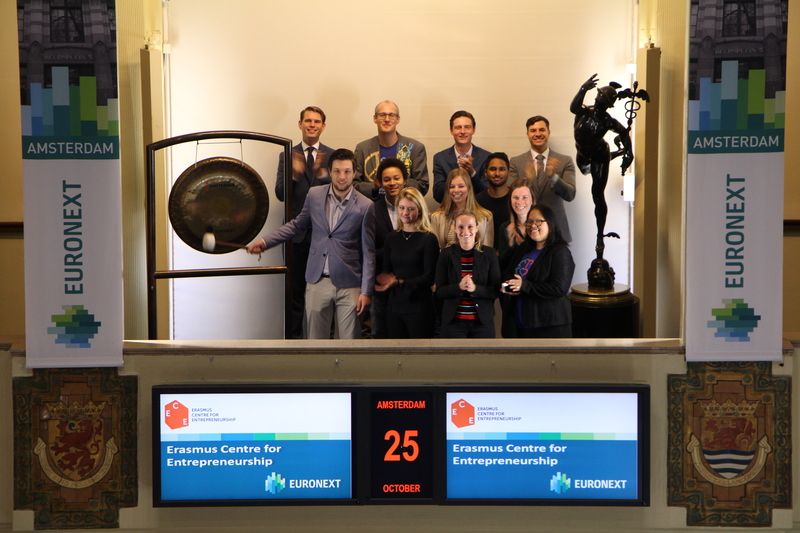 On Friday 12 October, the fourth edition of the Investment Program starts with an event in which students and private equity parties get to know each other in an enterprising way. 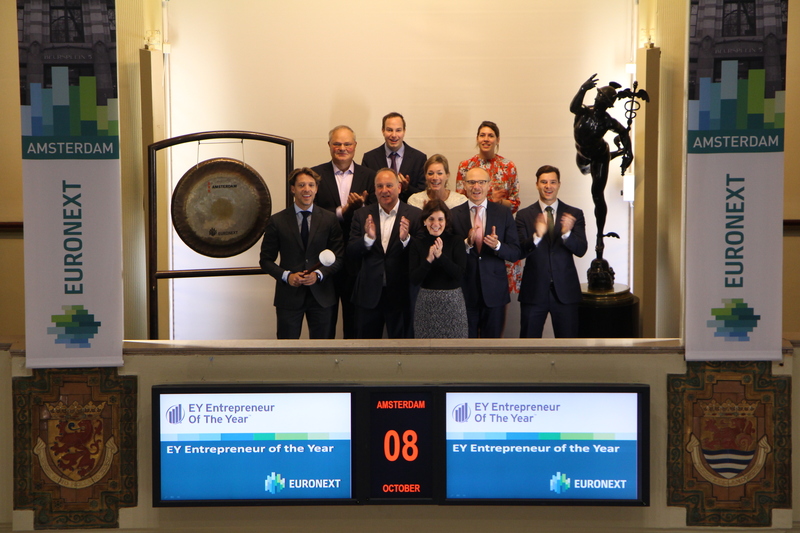 The winners of the EY Entrepreneur Of The Year program visit the Euronext Exchange in Amsterdam and open trading by sounding the gong. The EY Entrepreneur Of The Year award has been awarded in over 60 countries for more than 30 years. The award is intended to encourage and support entrepreneurs in their business and development, to support their clients and their employees. Michel Van Geyte, CEO of Leasinvest Real Estate, opens the trading day to celebrate the listing of new shares on Euronext Brussels. Leasinvest Real Estate announced a capital increase for a maximum amount of EUR 84 million to continue its growth strategy and bring its debt ratio back to a level between 50% and 55%. 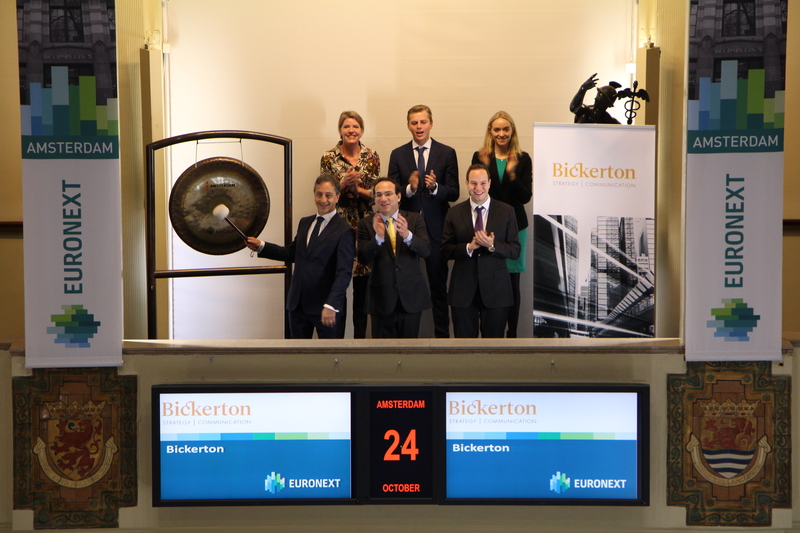 Listed on Euronext Brussels, Leasinvest Real Estate invests in high quality and well-located retail and office buildings in the Grand Duchy of Luxembourg, in Belgium and in Austria. 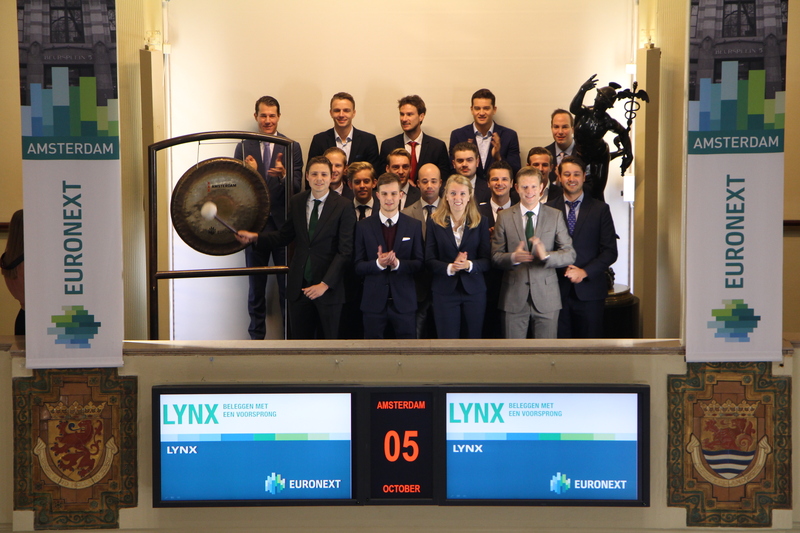 The Amsterdam Exchange markets are opened by broker firm LYNX Nederland, to mark its strong growth, and its recent introduction of a new lower pricing structure. 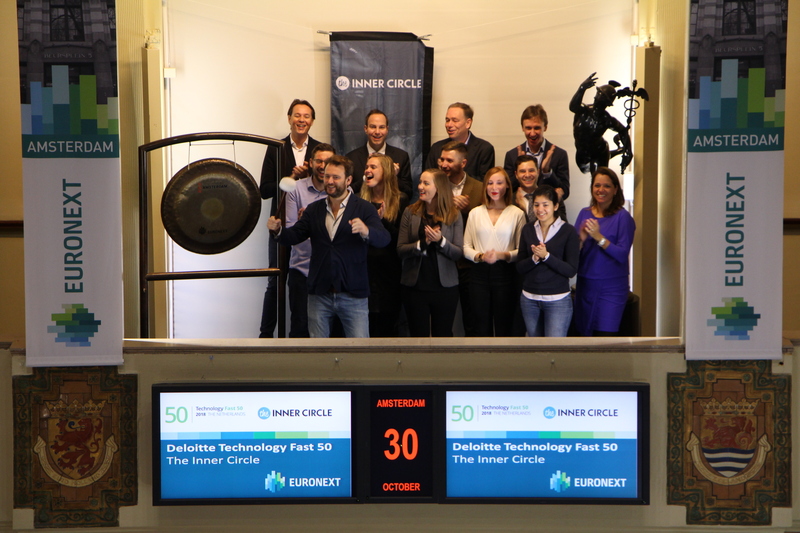 Sander Schwanen, branch manager of LYNX Netherlands, sounds the gong to celebrate. From the inception of LYNX in 2006, the active investor has been our prime focus. We provide direct access to the world’s markets, supported by low commissions and prices, a fast and reliable trading platform, extensive education and excellent customer services. 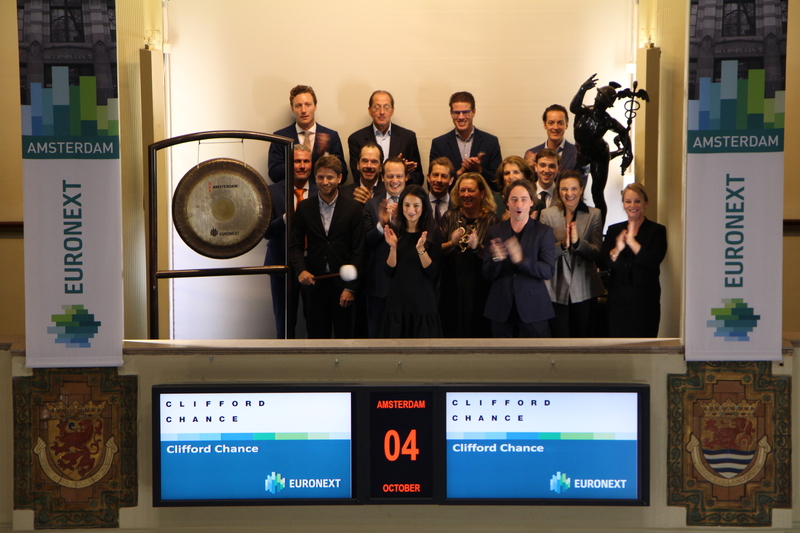 Two years after the Market Abuse Regulation (MAR) came into effect, InsiderLog together with Clifford Chance, is hosting a seminar for companies listed at the Euronext Amsterdam. Following the gong ceremony Han Teerink of Clifford Chance and John Engholm of InsiderLog will elaborate on the requirements for issuers and the use of compliance tools. In July 2016 the MAR came into effect. The MAR targets market abuse and requires every listed company and their advisors and listed bond issuers to among other things create and manage insider lists for all market sensitive projects. In response to the regulation InsiderLog was created. With InsiderLog you create and maintain a digital insider list online, saving considerable time and ensuring compliance with the relevant requirements of the MAR. Since January 2018 InsiderLog is part of the Euronext Corporate Services proposition. Eugenie van Wiechen, General Manager of FD Mediagroep was named Top Woman of the Year 2018. The Young Talent 2018 was also announced during the festive awards ceremony. 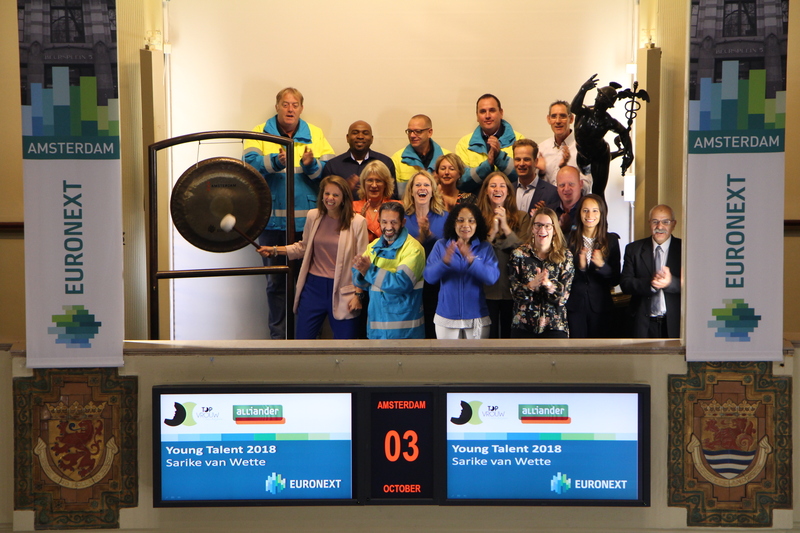 Sarike van Wette, Rayon Manager Amsterdam at Alliander, has been named Young Talent 2018 and celebrates by sounding the gong. The Young Talent Award is an encouragement award for female talent up to the age of 32 years. 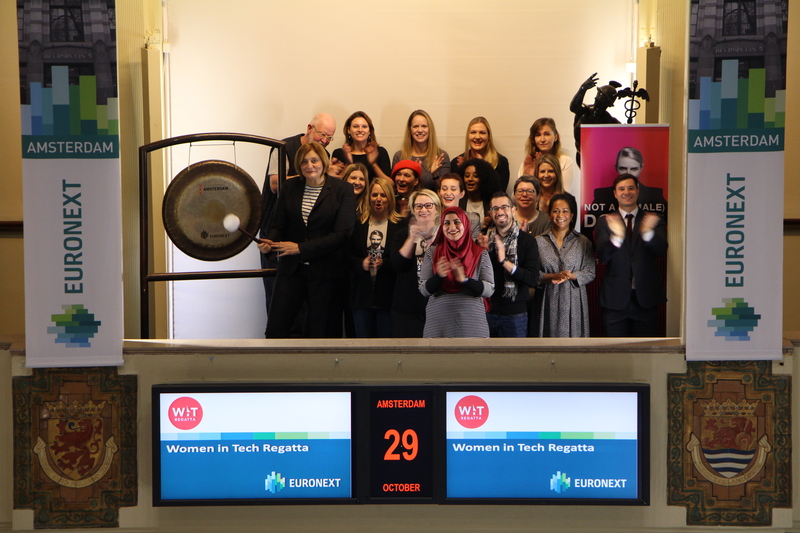 With this election, the organization wants to give female talent the attention it deserves.